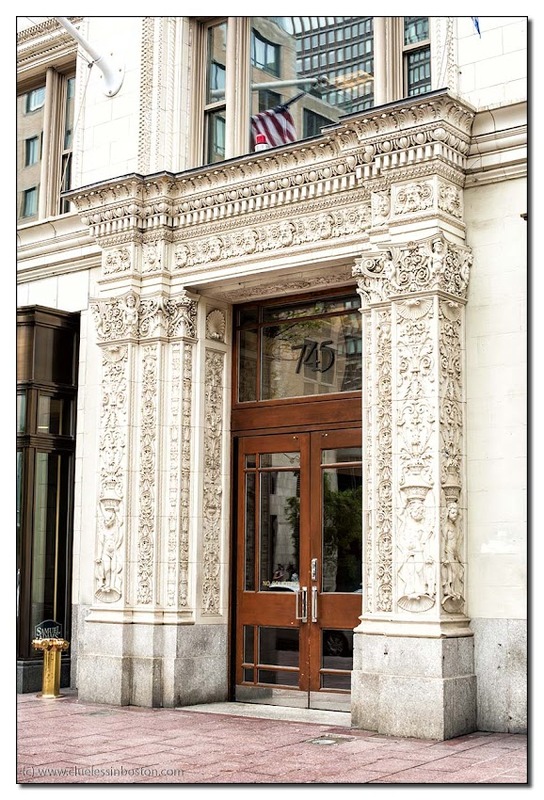 A beautiful doorway on Boylston Street. Woaw!! is the first word that comes to my mind! how rich and beautiful, so much details, that's fabulous! This is spectacular. I googled the address and see that it is occupied by a restaurant named Max Brenner. ??? I like the simplicity of the doors in contrast to the surrounding decorative stonework. This door is wonderful and your picture is spectacular, well done!